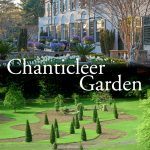 “Many guests appreciate the added comforts of our Superior Rooms, which feature a king-sized bed, a larger sitting area, and coffee maker. 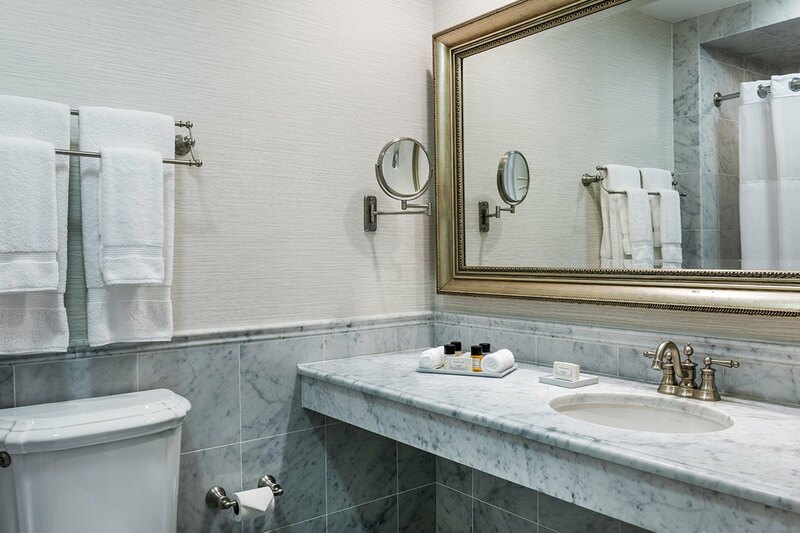 Our Superior Rooms also feature a luxuriously appointed Carrara marble bathroom with rain-shower head and upgraded bathroom amenities.” Read more and take a virtual tour. 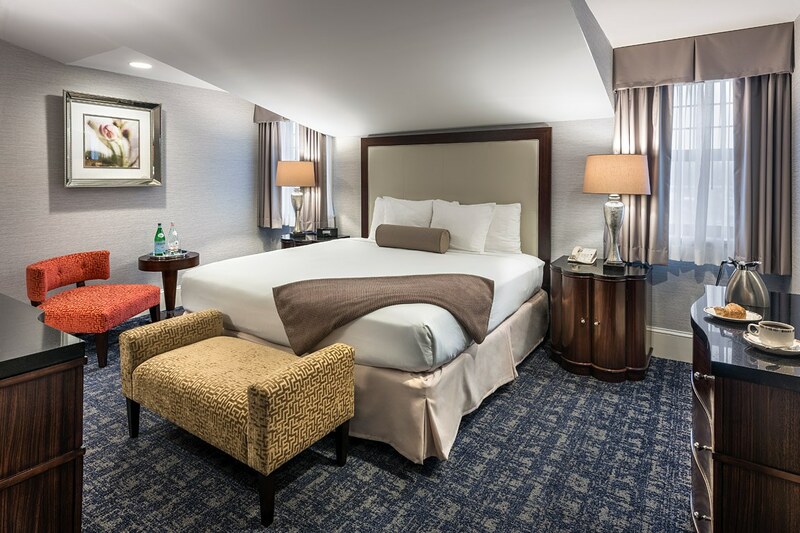 “King Deluxe Guest Rooms feature a king-sized bed with luxurious plush-top mattress to ensure a refreshing night’s sleep. 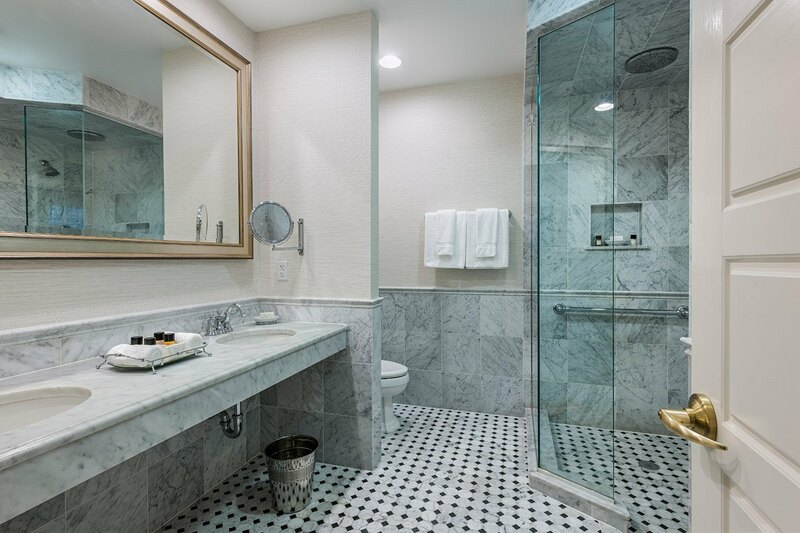 The many modern amenities and complimentary WiFi are antidotes to your traveling stress.” Read more and take a virtual tour. 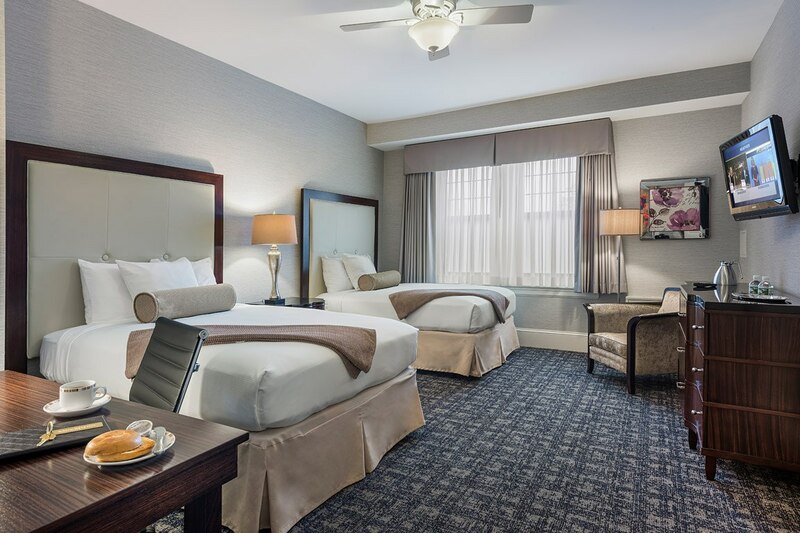 “Double Double Deluxe Guest Rooms feature two double-sized beds with luxurious plush-top mattresses to ensure a refreshing night’s sleep. 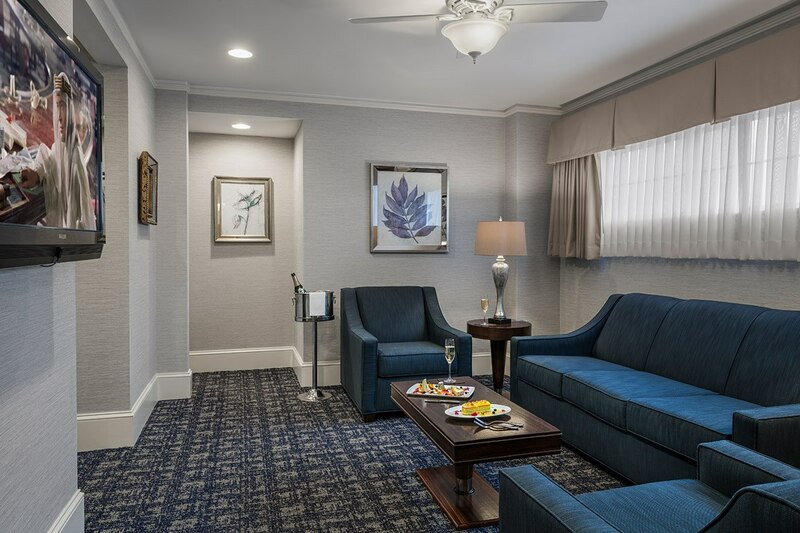 The many modern amenities and complimentary WiFi are antidotes to your traveling stress.” Read more and take a virtual tour. 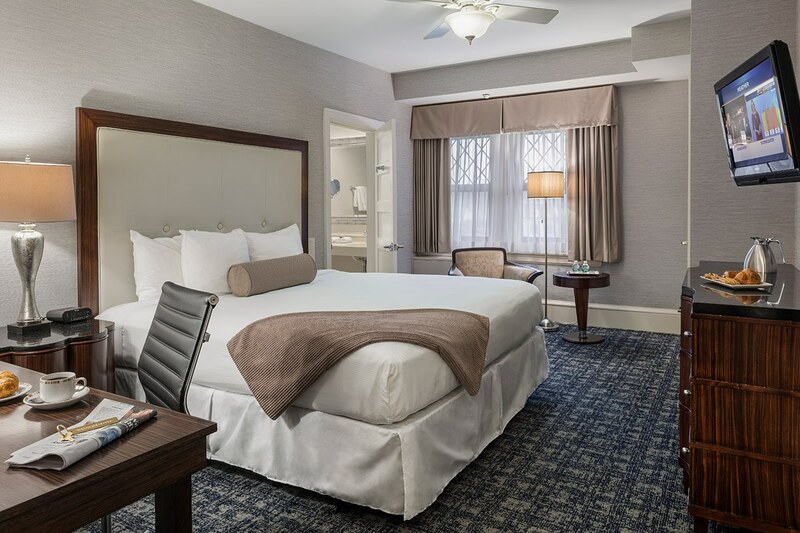 “Double Deluxe Guest Rooms feature a double-sized bed with luxurious plush-top mattress to ensure a refreshing night’s sleep. 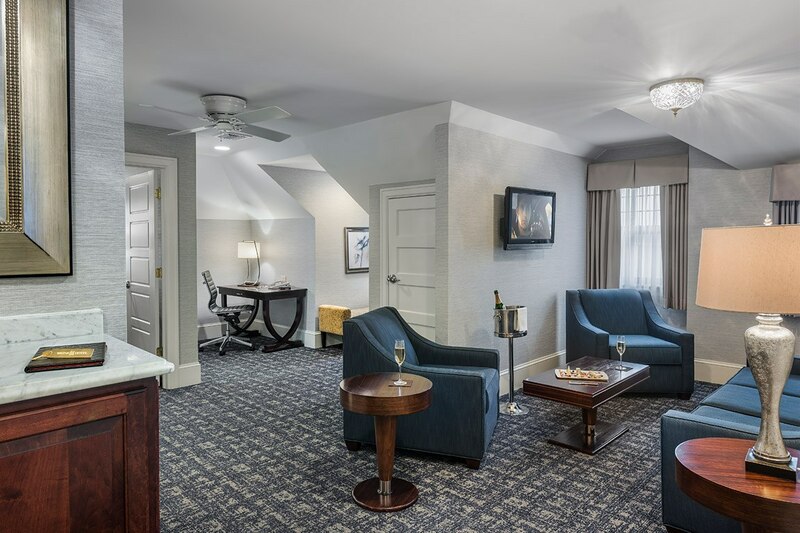 The many modern amenities and complimentary WiFi are antidotes to your traveling stress.” Read more and take a virtual tour. 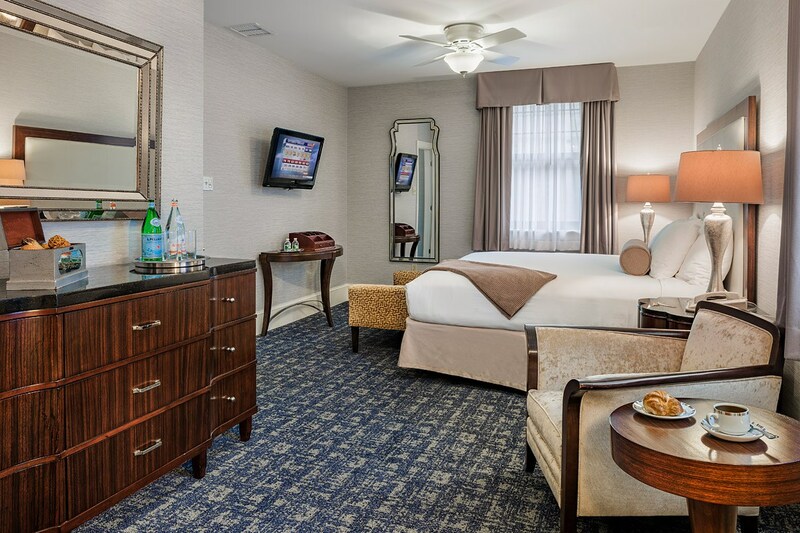 “The Wayne Hotel proudly offers the Lengel Suite. 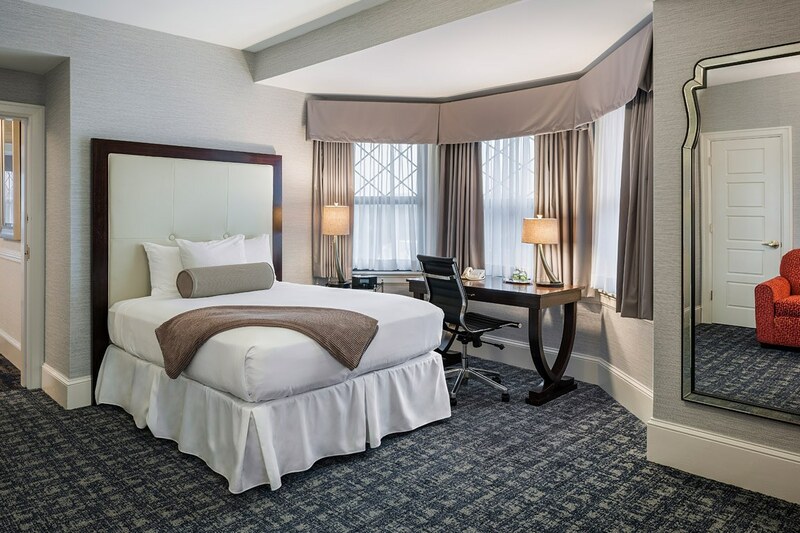 Named for the hotel’s architect, Jonathan D. Lengel, the Lengel Suite is located on the top floor of the hotel. The suite comprises a living room with wet bar, study, a bathroom and separate bedroom. 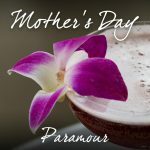 The living room features a queen-sized sofa-bed and flat-screen TV. 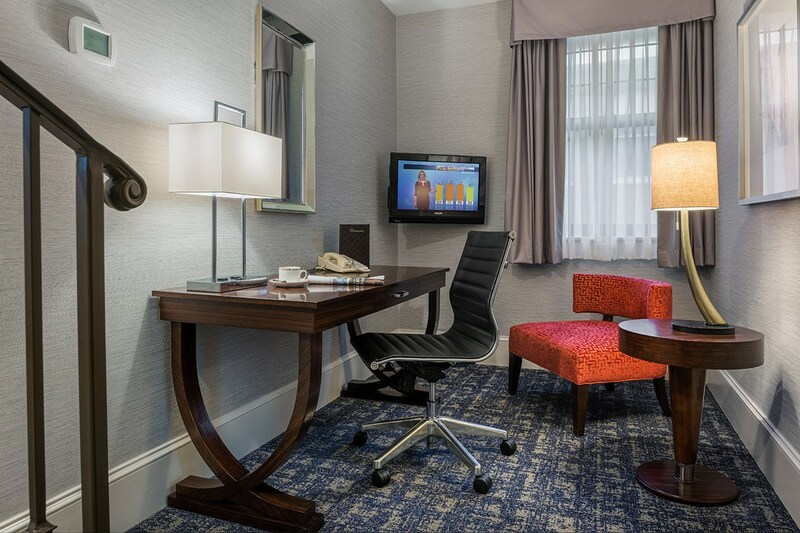 The study also features a flat-screen TV.” Read more and take a virtual tour. 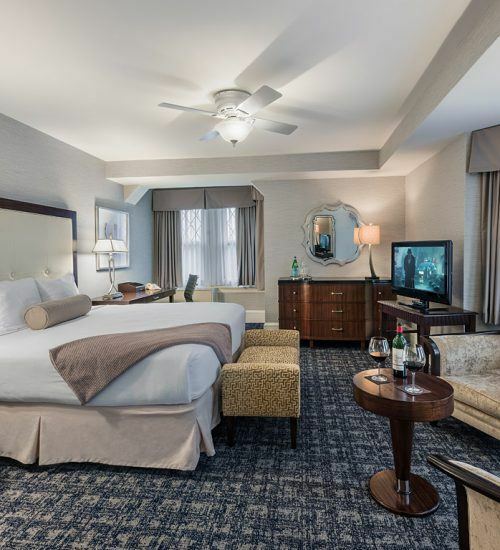 “The Wayne Hotel is proud to present the Askin Suite as its Premier Suite. 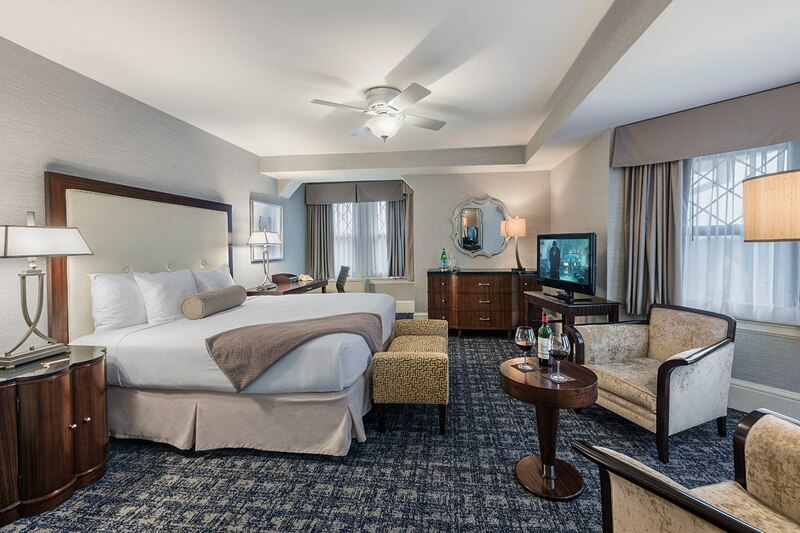 Beautifully decorated and located on the second floor of the hotel, the Askin Suite features a spacious living room with a queen-sized sofa-bed, a flat-screen TV, a wet bar, a Carrara marble bathroom and a separate study with a flat-screen TV.” Read more and take a virtual tour.